On the eleventh day of Christmas…we get Rebecca Clarke. Rebecca is “just a girl from Taranaki trying to find her place in the world.” She says she wanted to be Pat Benetar, but became an HR Manager, Recruiter, HR Tech Specialist, Connector. Like yesterday’s blogger Kelly Henderson, she hates the thought of being put in a box marked “HR” or “Recruitment.” She is the Manager HR Solutions and Drake Recruitment Services for Drake New Zealand and describes herself as a constant volunteer – Unitec Accounting and Finance Business Advisory Board, HRINZ Auckland Branch President for 2014 Leadership, Recruitment, Safety, Marketing, I/O portfolios. She cares about reducing youth unemployment and igniting aspiration through employment. Better to be part of the In-Crowd or one of the Stable Crew? My Identity Crisis: Human Resources Manager or Recruiter? …and how some of my peers have responded to me with surprise when I describe myself as a recruiter AND a human resources specialist. With many friends and colleagues in recruitment and HR roles, the vast majority of them see the roles of recruiter and HR as being total opposites, with very few similarities. Most expect me to choose one role over the other to further my career, and enhance my professional credibility. HR: “She’s definitely a recruiter: she knows a lot of people, and she does social media!” Apparently HR, by the very nature of the job, is inherently anti-social. In the early days of being involved with both communities, it would have been a whole lot easier to just make a choice, totally commit and really fit in, rather than remain on the fringes, looking in. I’d been there before, you see and I didn’t like it. On the fringes that is, looking in. Growing up I was always painfully aware of not really fitting in. As an only child, raised by a single parent, and part European/part Maori, in those days I was totally self-conscious of my differences. Above all, I wanted to just be like everyone else. By being the same, I thought this would bring a sense of belonging. How wrong I was. I know now that you don’t have to be the same, or think the same, as other members of a community to have a sense of belonging, and be accepted. I’ve learnt that the only person, who can really make me feel like an outsider, is me. So I simply now include myself in most things that are going, and that usually works out. While my HR journey began in training and development, my time in the recruitment industry has definitely kicked things up several gears. When I completed my HR degree, most expected me to leave recruitment altogether and get “a real job in HR”. 1. 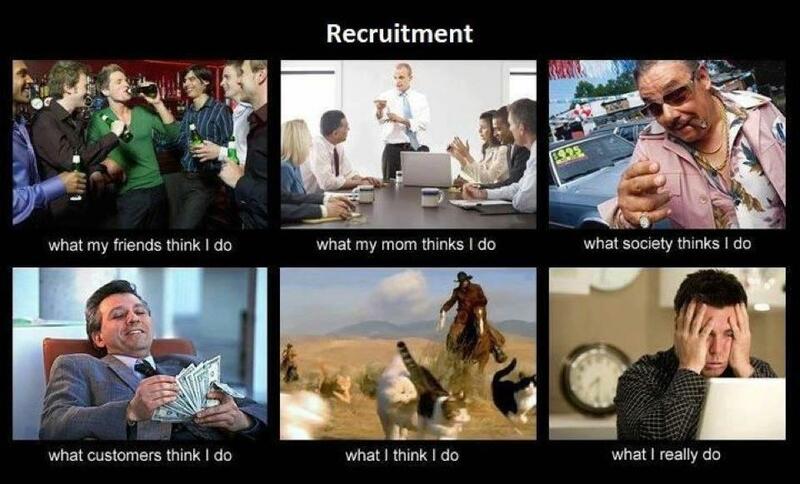 Recruiters get out there! If you want to be a business partner, you need to learn about business first. Stepping outside the business and your existing networks is essential to develop expert knowledge and add value as an integral part of the business. Over the years I’ve been involved in a number of industry groups and professional associations as a volunteer, member, presenter and name-badge-maker. It’s not enough to simply attend an event though. The value is in what you do when you return to your workplace when you apply ideas directly to your business problems. Look for opportunities to help others and show your value first. It will pay off tenfold. 2. Recruiters celebrate success and ring their own bell (or shake their maracas!) External support and recognition is important to raise the visibility of the value that HR brings to the business. If you have delivered something you’re proud of, please share your story! Congratulations to this year’s HRINZ HR Award Winners for their efforts in elevating our profession through sharing their stories and successes. What gets noticed, recognised, and celebrated externally WILL get noticed by the business and can strengthen credibility within your team. 3. Recruiters work with a sense of urgency to effectively leverage opportunities. In recruitment, “time kills all deals”! What are you waiting for? Deliver, deliver, and deliver! 4. Recruiters know the importance of differentiation. Know who you are and what you stand for. Here are some tips to build your leadership brand and move your business forward. 6. Recruiters aren’t afraid of dirty words (“sales, sales, sales!” There I said it!) HR needs to sell ideas to other stakeholders in order to get initiatives across the line. By considering what’s in it for the stakeholders, and articulating that value, you’ll demonstrate a customer centric approach and increase your influence across the business. While the #nzhr (Human Resources) and #nzrec (Recruitment) community have differing and definite views of the other, I’m grateful to all those amazing people who have helped shape my career and provide inspiration and advice along the way. I’m proud to still have a foot in both camps and “a seat at two tables”. Recruiters are my In-Crowd – the cool cats of HR and driving forces, as well as the biggest supporters, of most HR social media communities in NZ and indeed globally. 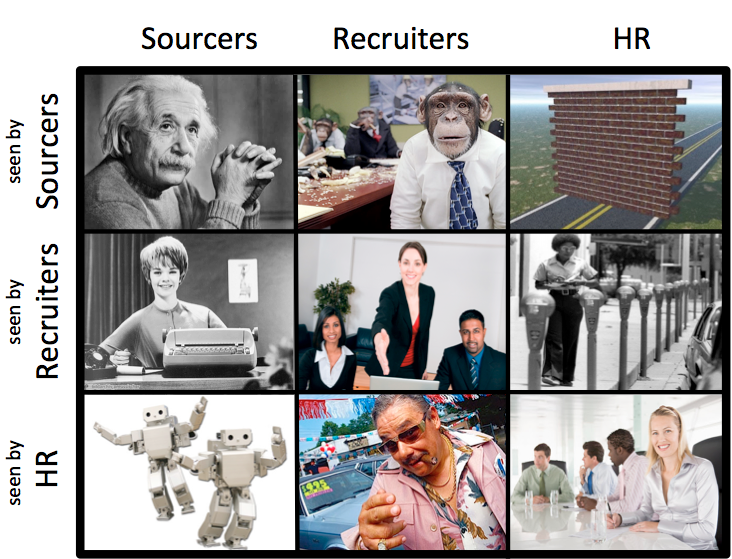 Comparative to HR, recruiters are early adopters of technologies, and at the forefront of trends. Recruiters have always been social; after all, they are in the business of relationship building. Recruiters have mastered the art of differentiation, and truly understand the power of personal brand. To me, you will never be a “poor cousin” to HR. Human resources specialists are my stable crew – people with plenty to offer who certainly need to deliver plenty. HR has to have a considered approach, remaining calm under pressure, placing importance on robust and fair process, all the while balancing the needs of employees and employer. To me, you will never be the “ugly stepchild” of recruitment. So to all of you in recruitment and HR communities across the globe, all that remains is to wish you all a fabulous holiday season and a successful new year. Party like a Recruiter (loud, and have fun), and always travel like a HR professional (safety first)!